Upon arrival you'll feel like you've walked into an explosion of nature. Icelandic landscape is breathtaking and never ceases to amaze visitors. There are over two hundred volcanoes and 10% of the land is covered by glaciers. Some might prefer to visit the country in summer when the sun virtually never sets but for others winter is more preferable when the sun rises for just a few hours a day. A bonus of the winter is escaping the bitter cold and sliding into a geothermal pool at 40°! However, the sun brings magical moments too, for example whale and marine watching around the island. The Northern lights are one of the reasons that most tourists are attracted to Iceland and there are many debates surrounding where the best viewing destination is on the island. In order to have the highest chance of seeing the lights it is necessary to stay in Iceland for a sufficient amount of time; the lights come and go in waves and so a stay of at least four nights is sufficient if they are on your hitlist. In order to maximise chances of seeing the lights its best to stay away from the capital and find a spot in the countryside, Blonduos and Grimsey in the north are recommended. In the summer (April-September) Iceland provides the perfect setting for optimum whale watching. Watching these beautiful, majestic creatures whilst they glide in their natural habit is a truly enchanting experience. If you're looking for a more personalised, magical whale watching excursion it's advisable to take a tour in either the Skjalfandi or the Eyjafjorour bay. The natural geothermal pools intensify the magic of Iceland. You'll never have to travel far as these naturally heated baths are around every corner of the island. Locals use the baths as both a social hub and a place for exercise. If you want to steer away from the crowd ridden pools head for the newly discovered hot springs at Lake Kleifarvatn, multi-coloured pools are also available here! The optimum way to enjoy the geothermal baths is to jump from hot to cold pools. Iceland offers the perfect destination for Christmas lovers; celebrations commence on December 23 and last until January 6. In order to compensate for the limited hours of sunlight during this yuletide both houses and streets are adorned with Christmas lights. Unlike other countries who only have one Santa, Iceland has 13. Each of these Santa's is referred to as a Yule Lad and every evening leading up to Christmas Eve, as long as the child puts their best shoe on their window sill, one will arrive with a little gift. With quite a harsh and changeable climate, Iceland attracts fewer visitors in the winter season than the summer. However, for those of you willing to brave the cold and looking for a change of scenery, a long weekend break to the capital Reykjavik has long been calling your name. In the summer prices rocket but it's worth it since the whole island can be fully appreciated with access to all routes and tours. If hiking's high on your to-do list be sure never to leave without sufficient equipment. Icelandic weather is extremely unpredictable and you don't want to be caught short without sufficient clothing in a snow storm! Thick jumper's, waterproof clothing, waders and plastic sandals are all a must! Another thing to be wary of are the banks of Lake Myvatn, which are unfortunately infested with midges. However, they can be avoided if you wear white clothing and postpone your travels until the second two weeks of July. When flying home from Iceland, if travelling with local airlines always ensure to leave plenty of time to get the airport before your plane departs as the weather could take a turn for the worst. +An ideal place to relax and go hiking. +A rich variety of ornithological wildlife. -One of the countries in Europe with the highest cost of living. Icelanders can seem a little difficult to warm to at first, but once the ice breaks you will find yourself amazed by their transformation in character. The majority of Icelanders speak fluent English. It is custom to take off your shoes before walking into someone's home. Most Icelanders follow the Christian faith, more specifically Lutheranism. However, it is becoming increasingly popular to adopt ancient religious beliefs based on the different forces of nature, for example Asatru. Icelandic dishes are exquisite, specialties include sea food, dairy products, lamb and reindeer meat. However, traditional dishes can sometimes be more difficult to digest and are rather steeply priced (about 1 200 ISK/lunch and 2 100 ISK/dinner). Therefore, it's perhaps preferable to cook your own food rather than dine in restaurants. Skyr - strongly resembles yoghurt texture but is in fact a type of soft cheese, mixed with milk and served with sugar or berries. Ein meo ollu - Icelandic hot dog. Unusually the hot dogs they serve in Iceland are lamb but what makes them so delicious is the sauce that they are served with. Icelanders don't hold back with their hot dog accompaniments, a full works of ketchup, sweet brown mustard, raw onions, fried onions and remoulade (mayonnaise and relish) are added. Harkarl - Rotten shark. The shark is cured after burying and most locals eat it with a shot of Black Death Schnapps in hand. It is most often seen at the ancient midwinter feast Porrablot. Brevennin - unsweetened schnapps renowned throughout Iceland; it's made up of fermented grain or potato mash and infused with caraway. Find weekly weather forecasts for Iceland . Different criteria make it possible to predict with precision the best time of year to go to Iceland . A comprehensive weather score, made up of temperature indicators, bad weather predictions, sunshine levels and wind speeds, will allow you to choose the activities best suited to the weather conditions and therefore make the most of your holiday in Iceland . The famous striped smock shirt is the authentic souvenir every tourist has of Iceland. Excellent quality and often hand-made, the Lopapeysa will cost about 5 500 ISK. What stamp collectors most prefer are local stamps (National Association of Stamp collectors: Armuli 25, Reykjavik). Shops open weekdays from 9:00 to 17:00, and Saturday from 10:00 to 16:00. However, most shopping centres are open till late, 23:00 or even 23:30 and souvenir shops are generally open throughout the weekend. 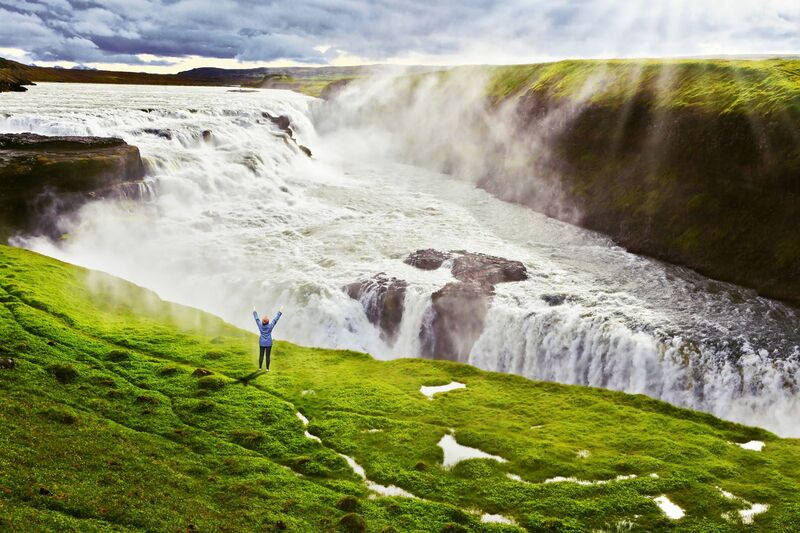 Our journalists' reviews for you 4 hotels Iceland . 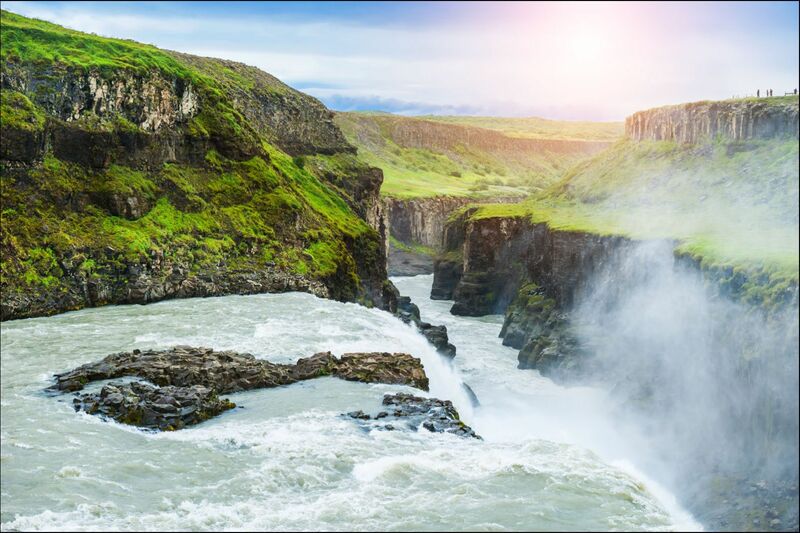 Take a look at our hotels, their facilities or their value-for-money score according to your departure dates so that we can find the best offer to suit you Iceland . Book a hotel Iceland it's never been so simple !